For the last two years it was, unusually, possible for the Basingstoke to remain open to navigation along its entire length throughout the season. The principal reason for this was particularly heavy rainfall during the autumn of 2012 and winter of 2014. I say unusually, because 2013 was only the second season that the canal had not been closed to boats sometime during the Summer since completion of its restoration over 20 years previously. However, with the relatively dry summers last year and this, and modest rainfall over the last winter and spring, it has not been possible to avert closure of the canal this year. The Deepcut and Brookwood flights were closed temporarily on 20th July, after which a brief storm offered a short reprieve (see graph, below), but then the closures had to be applied again on 7th August and will remain in force until there is further significant rain. The progressive dropping level of water has also necessitated placing restrictions on the movements of the Society trip boat, the John Pinkerton. Recent trips to the King John’s Castle have had to be limited to small parties only, because of the risk of getting stuck in the cut at Swan bridge. Further, the August Bank Holiday public trips usually undertaken from the Fox and Hounds in Fleet have unfortunately had to be relocated back to Odiham (because of the narrowed section past the Dogmersfield land slip is currently impassable to the JP). The answer is quite simple: the Basingstoke does not have any major source of water at its summit, for example a reservoir, or connected river (like the nearby Kennet & Avon canal and Wey Navigation), so it has no capacity to store winter rainfall. It is instead dependent on springs in Hampshire (including those in the Greywell tunnel and at Broad Oak) and minor supplies and run-off along its length. As the weather gets warmer and rainfall levels drop, these supplies begin to wane (see photo above) and increasingly cannot keep up with the losses that arise from general leakage, evaporation and transpiration (by trees and other vegetation). Boat movements through locks make the situation worse of course. The critical importance of water conservation on the Basingstoke is illustrated in a comparison with flows of other local waterways (see right). Even taking into account all the sources along its length, and back-pumping (ie, water recycling) in Woking, the amount of water available to the Basingstoke is still around 50 to 100 times smaller than that supplying the K&A (as measured in Reading). You may see lock gates leaking a lot of water on these other canals but to a large extent it does not matter because they have substantial feeds. However on the Basingstoke this just cannot be allowed to happen. It is no wonder then that the canal authority lock-keepers spend a lot of time during dry conditions ensuring that avoidable losses from the canal are minimised, in particular, ensuring paddles are secure, and caulking up the upper lock gates (ie plugging with fibre such as sawdust) after locks have been used to reduce leaks. These actions help prevent loss of water from one pound to another, which is vital for those short pounds, for example at Deepcut and Brookwood, where if they were allowed to empty could take a while to refill in dry conditions, during which time the canal would have to be closed. The BCA have a policy for requesting that locks are emptied after use. This may seem counter-intuitive, but it not only reduces the amount of leakage through the lock structures, which have varying states of water-tightness, but also allows lock-keepers to check that the upper gates have been properly sealed. BCA staff and canal lengthsmen are also constantly on the lookout for leaks, particularly through embankments. One was found only recently near Dogmersfield, which may have accounted for a more rapid than expected drop in the Hampshire pound during July. Luckily it could be fixed promptly. We ask that all users of the canal keep their eyes open for unusually wet areas and report any concerns to the Canal Centre. A further measure to save on water, which is in its third year of operation, is to restrict locking on the canal to particular days of the week. 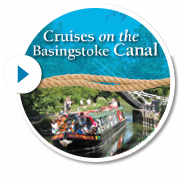 This has proved controversial with some boaters, who cannot just “turn up and go” on the Basingstoke but have to plan ahead. However, adopting this policy allows water levels to recover during the intervening days. A project has been running for a while to identify possible additional sources of water for the Basingstoke Canal. As yet, no substantial discoveries have been made. Even so, the methods for managing low water levels described above will need to continue into the future. However, a system for remote water levels measurement and to control pumps is in the process of being installed and is already yielding results. This scheme, the first to be implemented in the UK, will make the process easier for the BCA rangers who will be able to monitor the state of the canal from their mobile phones. We will report on this further in due course.